It was a well-guarded secret and the invitations didn’t quite reveal what the channel was all about. Media conglomerate Bennett, Colmean & Company Limited (better known as the Times of India group) announced an all-new English entertainment channel: Romedy Now. 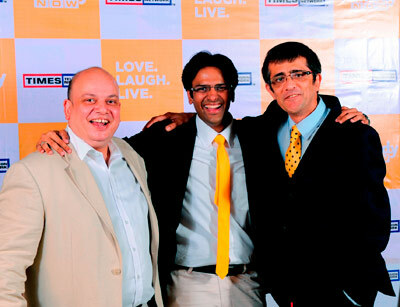 Catering to urban, upscale audiences, the channel will offer a combination of ‘Love and Laughter’. 01. And we all thought there was a downturn, advertising was bad. Etc, etc, etc. And you are launching a channel, which isn’t mass, it’s not exactly uncluttered though there may be no clear romcom positioning. Comments? The downturn is not impacting the English entertainment category – which caters to the urban mass. The category is definitely not niche, 6 crore people watch this category every week and it is growing at a healthy rate of 98%. We don’t utilise positioning as a brand management tool. The brand identity is pivotal to the insight that life is about love & laughter crystallised in 3 words – ‘Love. Laugh. Live.’ brought to life in Warm golden yellow. 02. Romcom in the English entertainment space has had some trouble with the BCCC and various regulatory complaints. So: how are you going to get around that? 03. One of the issues in this genre is people watch shows on the internet much before the show’s aired here. Any thoughts on beating that? How current will be your shows (season-wise)? People watching shows through downloads and internet streaming are negligible in numbers. 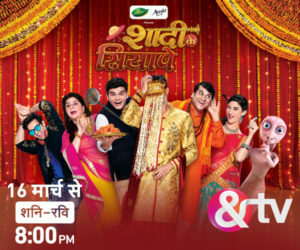 Average downloads per show in India are less than 5000 and the highest ever is 37000. English television reaches out to 6 crore people for 60 minutes. We will be offering the shows within a short span of 24-72 hours of US/international telecast. Other shows which may be repeated are determined by the popularity of the show and viewer demand. 04. Do we see ‘Made in India’ content? Not yet, we have considered this but we will not execute this for some time. 05. Any tie-ups with international production companies/channels for content? All key studios, example Warner, Fox, MGM, Regency and 40+ mid/small size distribution tie ups are in place. 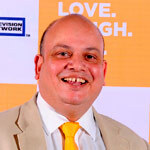 Added Ajay Trigunayat, CEO, English Entertainment Channels: “We changed the game in the English movie category by challenging the status quo with the launch of Movies Now. Extensive research has revealed, the audience is seeking highly differentiated and personalised content and the identification of this ground breaking shift of genres and the significant gap between behaviour vs. need, has led to the conception of Romedy Now. The channel – to launch in mid-September – will be launched in standard definition and high definition (HD) and across all distribution platforms. There is a strong marketing plan as the the channel will utilise the combined strengths of the Times Television Network and the Times group publications at the time of the launch. BBH India is the creative agency.